Bringing positivity throughout the world, Peace Love World is a charitable fashion brand from designer Alina Villasante. 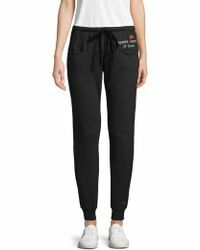 Much more adroit fashion force than far-out flowerchild, Peace Love World trousers see a whole host of eclectic styles emblazoned with a medley of happy, profound and striking slogans. 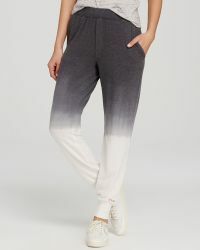 From ombré harems to laid-back track-pants, you'll be delighted by the vibrant messages conveyed by these light and airy styles. A refreshing take on fashion favourites, Peace Love World trousers are bound to make your day.